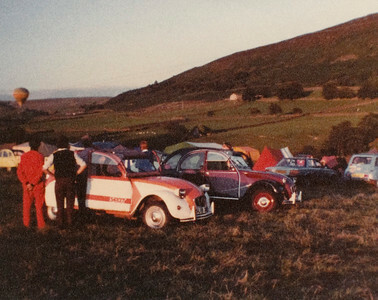 A scan from a low-quality photo (possibly my Kodak disc camera photo, which would explain the quality) in the early 1980s at a meeting of the UK Citroen 2CV club, with a balloon in the background. 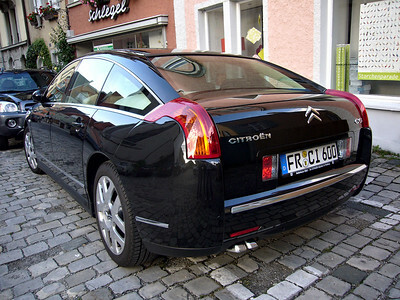 A Citroen C6 in Lindau, Germany. 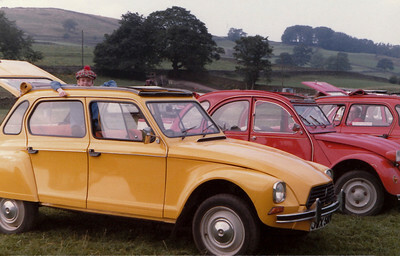 2CV near MAMCO. 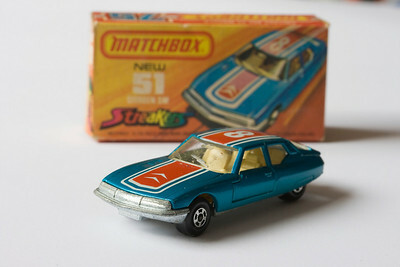 This is the car that went out of production because it couldn't meet safety and emissions targets, yet seems to be a favourite with environmentalists... a classic nonetheless. 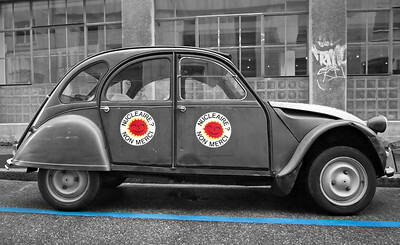 2CV near MAMCO in Geneva. 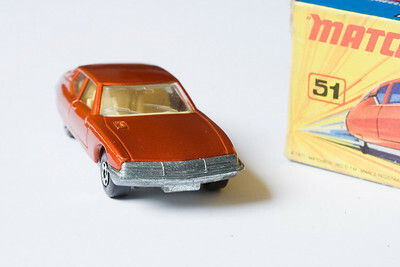 This is the car that went out of production because it couldn't meet safety and emissions targets, yet seems to be a favourite with environmentalists... a classic nonetheless. 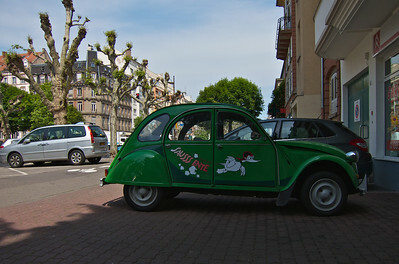 There was a time when French streets were full of 2CVs, but in five days I saw only two. 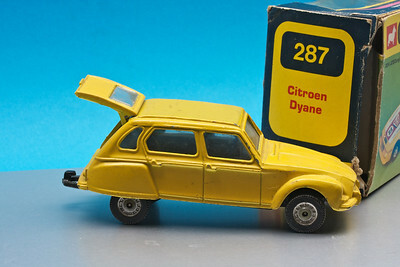 This was one, in Strasbourg and at a Citroën dealership. 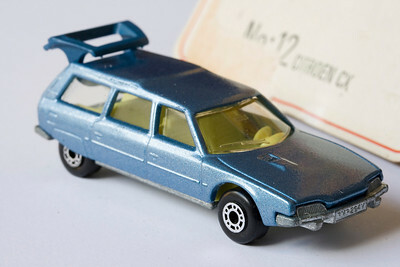 It's a German special edition from the late 1980s: Sauss Ente means 'speedy duck'. 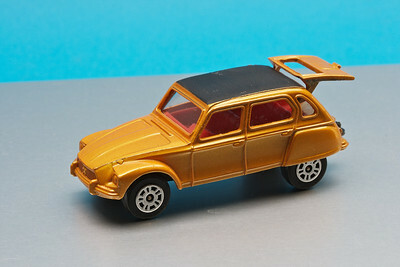 Small Corgi Citroen Dyane, this one with a black roof. 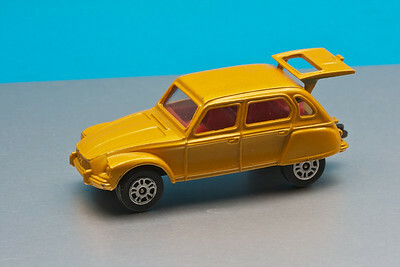 Small Corgi Citroen Dyane (with yellow roof). Generic wheels spoil most of these very cheap models. 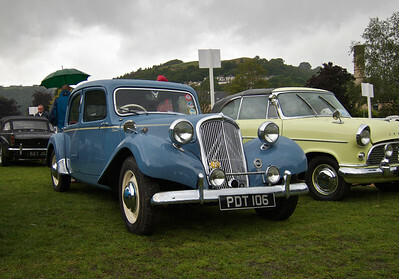 Citroën Traction Avant. 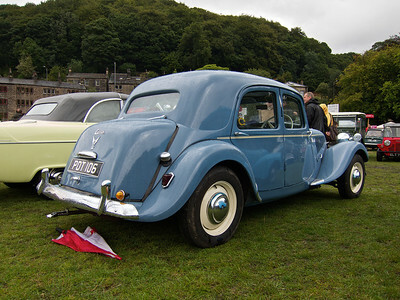 Not my favourite colour for a Traction, but one of the more interesting cars at the event nonetheless.